Earl Scruggs made his mark with the birth of bluegrass music as a member of Bill Monroe's Blue Grass Boys and later with partner Lester Flatt when they performed with their band the Foggy Mountain Boys. Scruggs is credited with creating the 3-finger style of picking the 5-string banjo now called "Scruggs Style." It is that sound that has popularized bluegrass music and gives it a unique sound. Scruggs played with many other styles of music but continued to drive his banjo using the Scruggs Style. Scruggs is in the International Bluegrass Music Hall of Fame and the Country Music Hall of fame. He was awarded the National Heritage Fellowship, National Medal of the Arts and numerous other awards. He earned multiple Grammy awards for "Foggy Mountain Breakdown" and has a star on the Hollywood Walk of Fame. Few artists have made such a lasting mark on America's music and Scruggs' banjo style is certainly at the top of the list. The Center will explore Mr. Scruggs’ innovative career and the community that gave it shape while celebrating how he crossed musical boundaries and defined the voice of the banjo to the world. 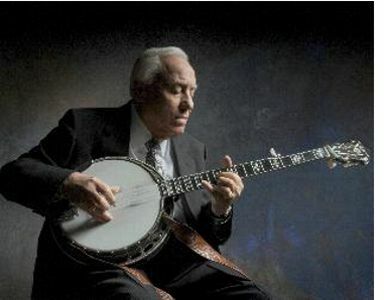 The center celebrates the tradition and innovation of renowned banjo player, Earl Scruggs. His development of a unique 3-finger playing style continues to influence music around the world. The center will refurbish old courtroom as a community gathering place and create public areas for music, storytelling, and more. The facilities will also install new bathroom facilities, an elevator, new lighting system, administrative offices and gift shop. Visit www.EarlScruggsCenter.org to hear about more events, exhibits and performances at the center.